This floor plan features a huge patio or balcony that overlooks a private courtyard. 1,200 FREE on select 2BR and 3BR Apartments! 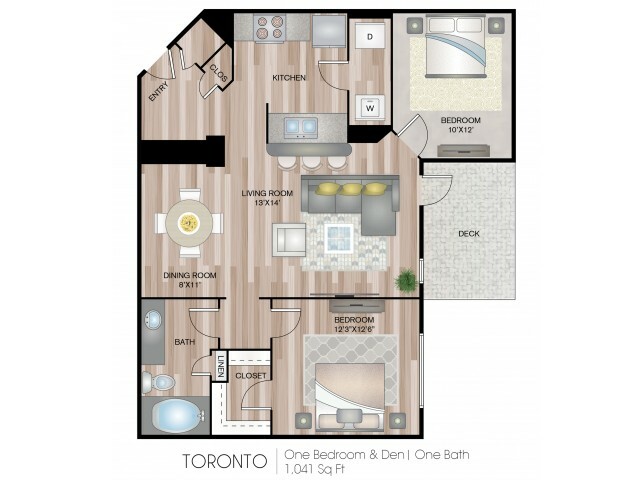 Valid From : Apr 11, 2019 1,200 FREE on select 2BR and 3BR Apartments! Online rates show $1,200 prorated which is why rates are $100 per month lower than before for a limited time only!! Hurry now before special ends and rates go up!